Oats are a long-standing staple in the breakfast sphere. They are prepared in countless ways and can fall on a spectrum from heart-healthy to sugary nightmare. For as long as oats have been around people have flocked to the wholegrain varieties, the ones that are inherently good for you. With the way the food industry has grown – recognising healthful options and offering more choices – there are infinite brands and variations of oats to choose from. This makes shopping for the right kind of oat a minefield. Breaking in the morning with a nice bowl of oats is an extremely effective start to the day. The perfect little grains are a stellar source of fibre, 17%, making you feel full for longer and helping you eat less throughout the day. Beta-glucan, a fibre found in oats, absorbs water and swells in the stomach. Other types of fibres inhibit the rapid emptying of the stomach thereby prolonging the full feeling. In the UK, the recommended daily intake of fibre (RDI) for adults is 18g per day. A regular serving size of rolled oats (1/4 cup) contains about 4 grams of fibre. That’s 22% of your RDI sorted before you’ve checked your email. 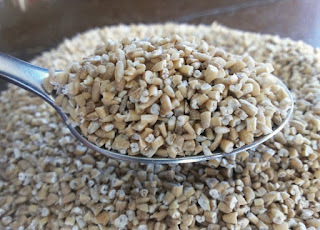 Also known as Irish or Scotch oats, they are made by chopping whole, unbroken oat grains (groats) into pieces. They look quite different than the oat grain we’ve come to associate with oats, resembling chopped rice. As such, this type of oat is denser by nature and has the longest cooking time of the three types. The end product has a chewy consistency, retaining its shape after cooking. A ¼ cup serving of steel-cut oats is equivalent to a ½ cup serving of rolled oats. 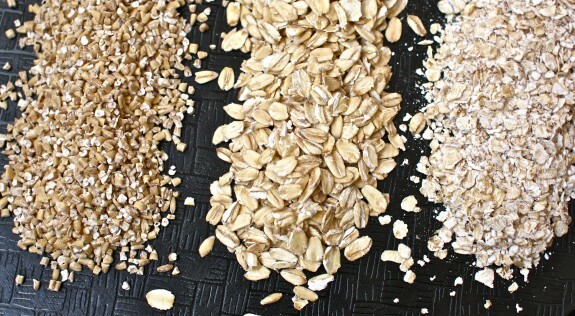 Eating the same amount of steel-cut oats as rolled would mean eating more calories for little pay-off. Steel-cut oats have a low glycaemic load meaning that the rate that glucose enters the body is slow. You won’t get a spike in blood sugar from eating steel-cut oats, but you will from quick/instant oats which can also cause a spike in insulin, leaving you with an insatiable sugar craving when glucose levels drop. Also known as whole or old-fashioned oats, these resemble flat, roundish discs. They cook faster than steel-cut oats as they are able to absorb more liquid, and they too hold their shape after cooking. 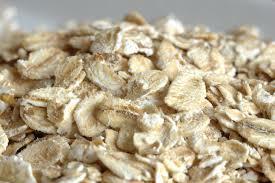 It’s worth noting that rolled oats are more processed than steel-cut which are simply chopped. 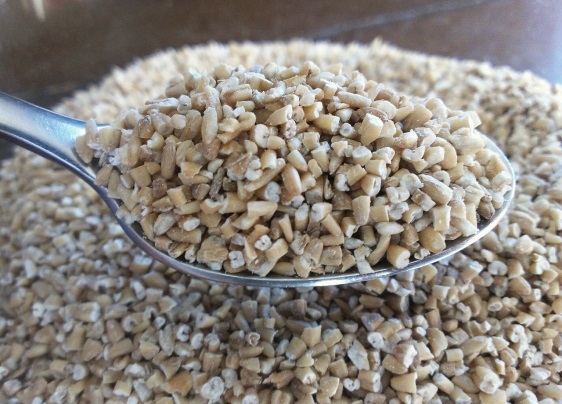 Rolled oats are steamed and rolled flat before getting toasted, placing them higher on the glycaemic index. Even still, rolled oats have almost the same nutrient value of steel-cut oats, scoring nearly the same in a categorical comparison. While steel-cut oats are definitely the healthier option, the dividing line comes down to a few things: steel-cut oats have less calories, no sugar and are lower on the glycaemic index. 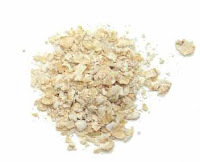 Rolled and quick/instant oats are made the same way, by steaming and rolling flat oat grains. However, quick/instant are precooked and dried before being rolled flat. This is why they’re so quick to prepare, giving them a very mushy consistency. Instant oats are higher in calories because they often come pre-flavoured and sweetened. Plain instant oats are a bit better in terms of sugar content. Regardless of what kind of oats you choose (steel-cut, rolled, instant/quick) it is in your best interests to go for the plain, unflavoured kind, supplemented by addition of your own. It will take a bit more time to prepare the oats this way, but look at it as an opportunity to create a unique breakfast. Each day is a new chance to experiment with unusual add-ins. Try a different type of milk to really coax out the perfect flavour. Spices: cinnamon, cacao powder, allspice, nutmeg, salt. Fruit: frozen berries, dried fruits, shredded apple or pear, diced mango, mashed banana, pomegranate. Nuts and Seeds: almonds, pistachios, walnuts, sunflower seeds, chia seeds, flaxseed. Add-Ins: Greek yoghurt, honey, jam/marmalade, nut butters. Toppings: cacao nibs, honey, honeycomb, syrup. - Tropical Chocolate Oatmeal: plain rolled oats, coconut milk, unsweetened flaked coconut, cacao powder, cinnamon and salt topped with honey. - Sticky Cinnamon Roll Batter Oatmeal: plain rolled oats, chocolate oat milk, Demerara sugar, cinnamon, allspice, nutmeg, chia seeds and salt. Add 1 tablespoon of flour once oats thicken and top with protein icing (1 tablespoon melted coconut oil mixed with 1 teaspoon vanilla protein powder). - Fruity Bircher Bowl: bircher base mix, Greek yoghurt, ½ shredded granny smith apple, ½ mashed banana, honey, chia seeds, cinnamon and nutmeg topped with crushed walnuts.